The celebration of the 15th anniversary of Associação Transumância e Natureza (ATN) on 12–14 June will mark the great progress that has been made with rewilding of the Côa Valley in the Portuguese part of the Western Iberia rewilding area. Among others, the Faia Brava Star Camp will be launched, a simple and imaginative bush camp beautifully located in the reserve, developed by local entrepreneurs with technical, financial and promotional support from Rewilding Europe. 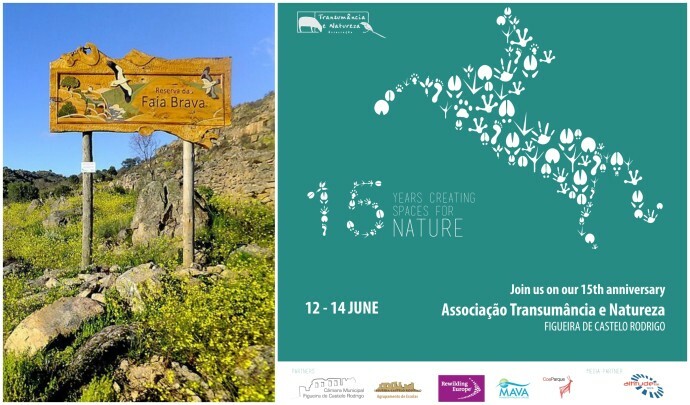 Associação Transumância e Natureza (ATN), Rewilding Europe’s prime partner in the area, will celebrate its 15th anniversary with special events going on at the Faia Brava Reserve, the main pilot area in the Coa Valley, which provides a rewilding potential of nearly 100,000 hectares in total. 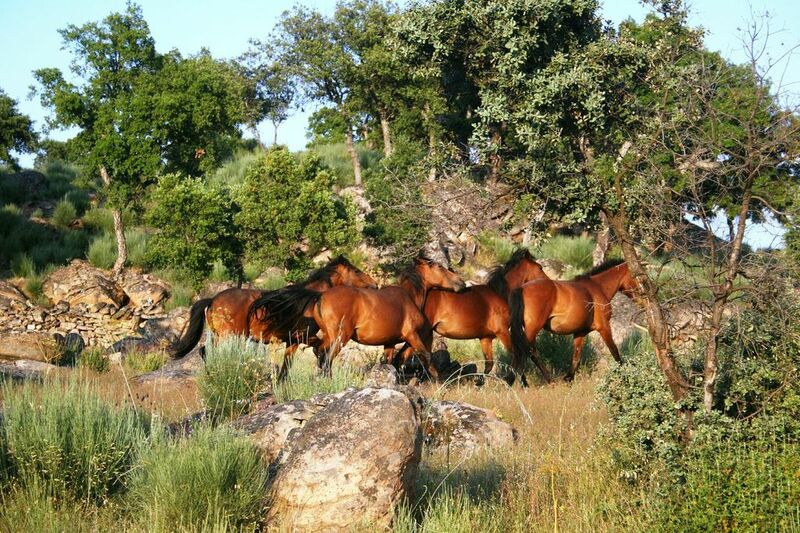 The events will take place on 12, 13 and 14 June marked by the official opening of a new 600 hectares fenced area where the release of semi-wild Garrano horses will take place. In the same time, the Faia Brava Star Camp will open to host its first guests. Alongside the anniversary celebration, ATN and Rewilding Europe will mark four years of successful cooperation, and will reflect on joint achievements and discus future opportunities. On Friday 12 June, the official opening will have the presence of the State Secretary for Land Management and Nature Conservation, the President of ICNF (Governmental Institute for Nature Conservation and Forest), the Managing Director of Rewilding Europe, the Director of the Mediterranean Programme of the Swiss-based MAVA Foundation, and representatives from the Portuguese Tourism Board. This will be the first meeting between Portuguese governmental institutions and Rewilding Europe thus making it an important milestone towards for the future. On Saturday 13 June, we will explore the rewilding approach from different perspectives and discuss about the future of conservation in the context of Portugal and Europe in a wider sense. Some of the most prominent Portuguese nature conservationists and experts from Rewilding Europe will share their knowledge and expertise on various topics. The discussions and presentations will focus on the dynamics of fire and its impact on landscape and biodiversity, return of wild predators and 20 years of ungulates reintroduction. Working definition on rewilding will be presented together with the concept of rewilding as a new conservation strategy aiming to restore biodiversity and ecosystem functions. During the afternoon, a guided walk through the southern part of Faia Brava will take place where we will be accompanied by experts on biology, geology and botany. The programme will continue with a special visit to the UNESCO Archaeological Site of Faia Brava led by an archaeologist from the Côa Valley Archaeological Park. The morning of Sunday 14 June will start early with a vulture feeding and bird ringing sessions at the Faia Brava Reserve. Afterwards there will be several ongoing workshops at the Reserve for all to participate: monitoring cliff breeding birds, activities for kids, identification of tracks and signs of carnivores and many others. Rewilding Europe and Associação Transumância e Natureza (ATN) are inviting all interested parties to participate in the celebration and the launch of Faia Brava Star Camp. Nature lovers will have an opportunity to experience the rich biodiversity of this rewilding area and moments of pure tranquillity by camping in the Reserve. If you would like to attend, you can register by sending an email with your contact details to geral@atnatureza.org. You can download the press announcement here.